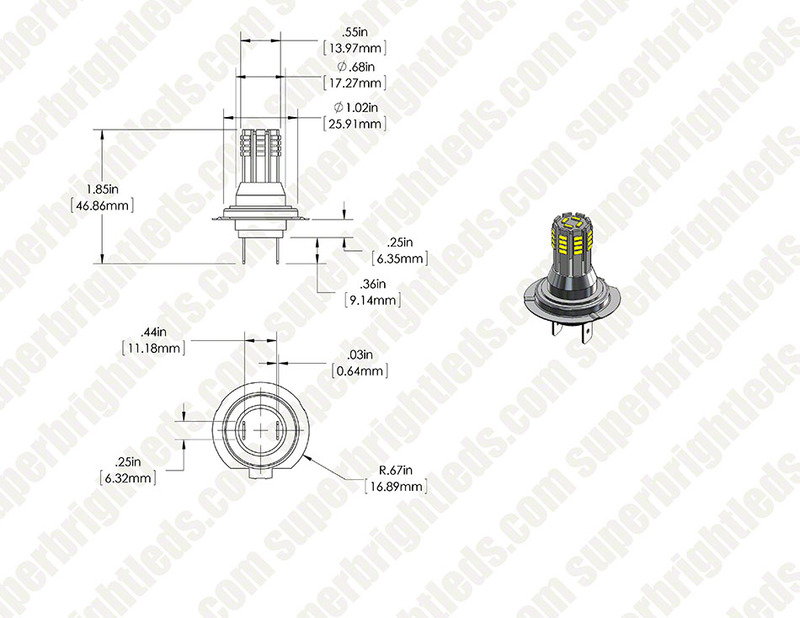 H7 LED Bulb - 36 High Power LED Daytime Running Light: On Showing Beam Pattern. 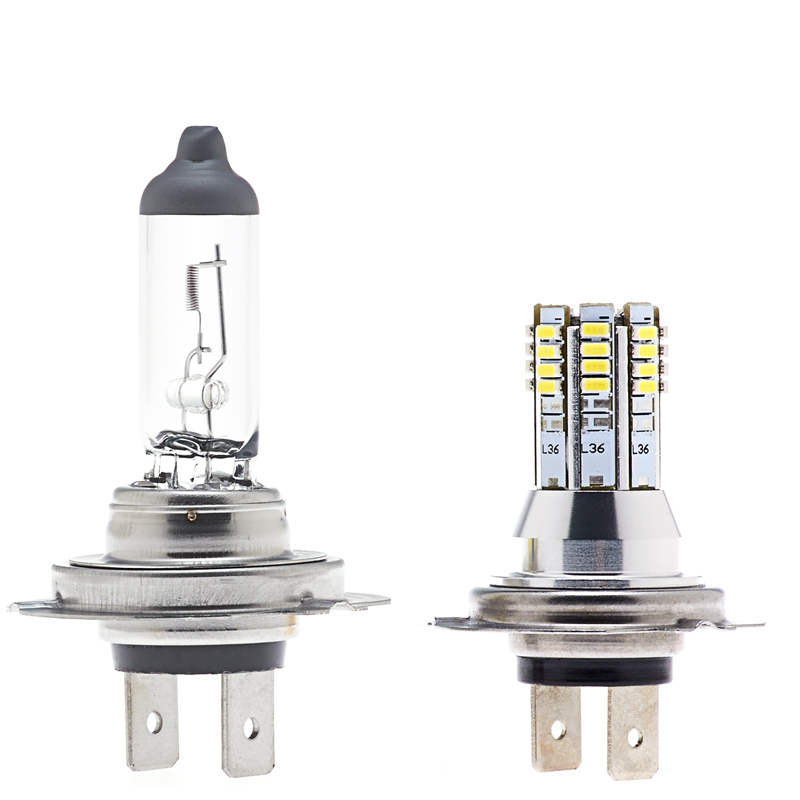 This H7 LED fog light/daytime running light bulb replaces traditional H7 halogen and xenon bulbs. 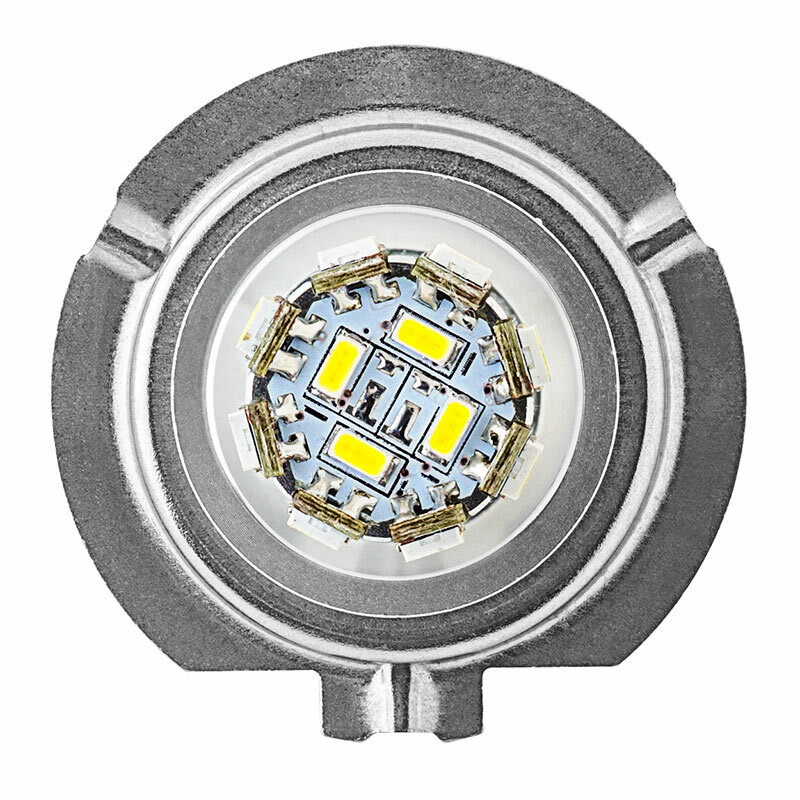 It has 36 LEDs (3014 SMD). 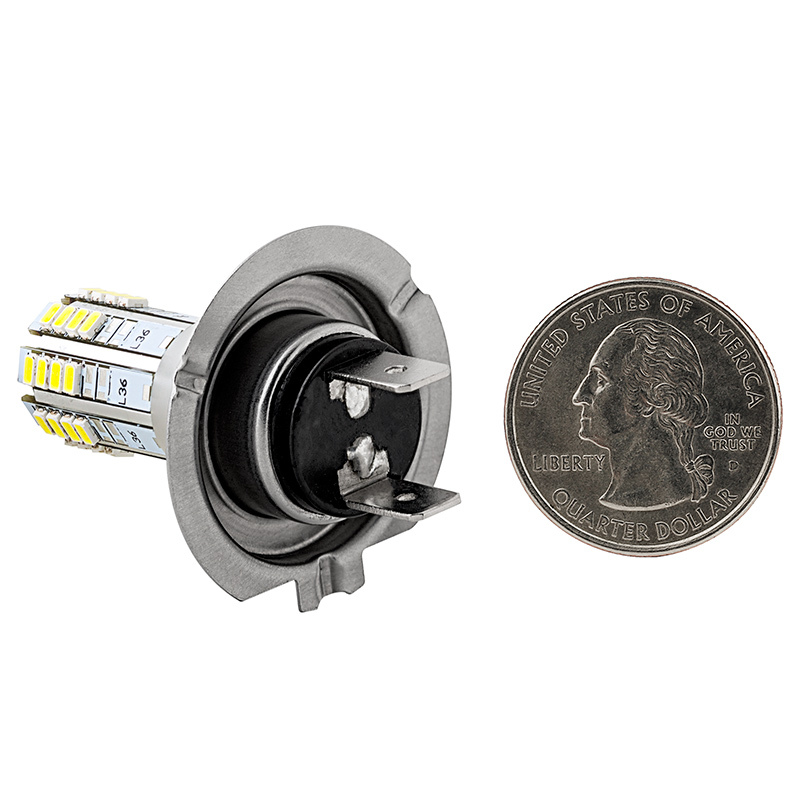 The radially mounted LEDs emit a 360° viewing angle that illuminates the DRL or fog light reflective housing to set an RV apart from its surroundings. 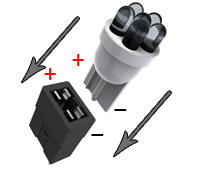 Tower-style design with H7 base for easy plug-and-play installation. 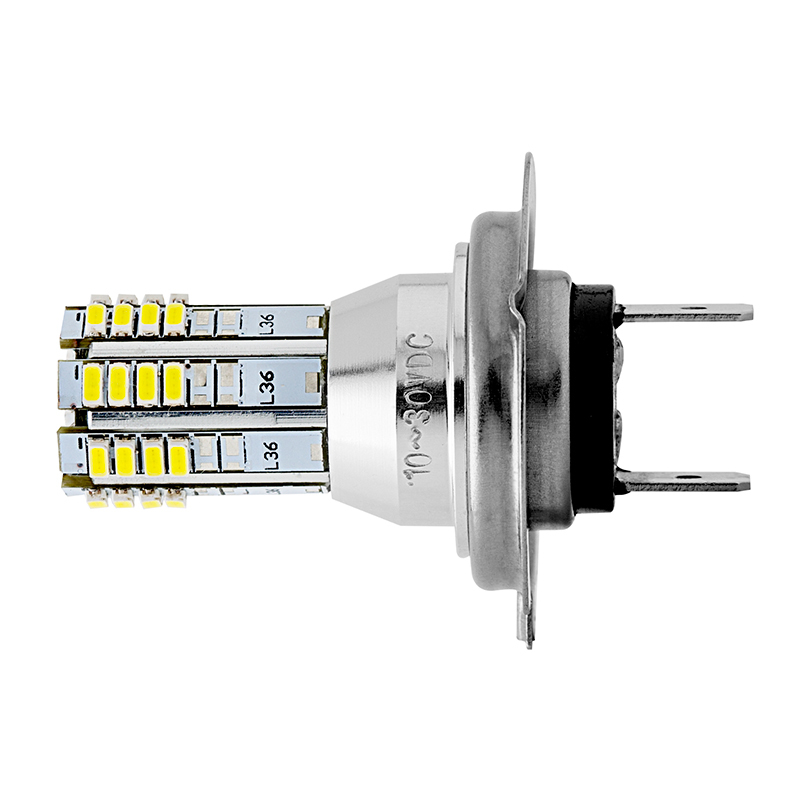 The energy-efficient bulb operates within a wide 10-30V DC range and is designed to last 30,000 hours on your motorhome. Cool white color. Not sold in pairs. Price per bulb. The title says it all. I bought these for my 2010 Dodge Ram. 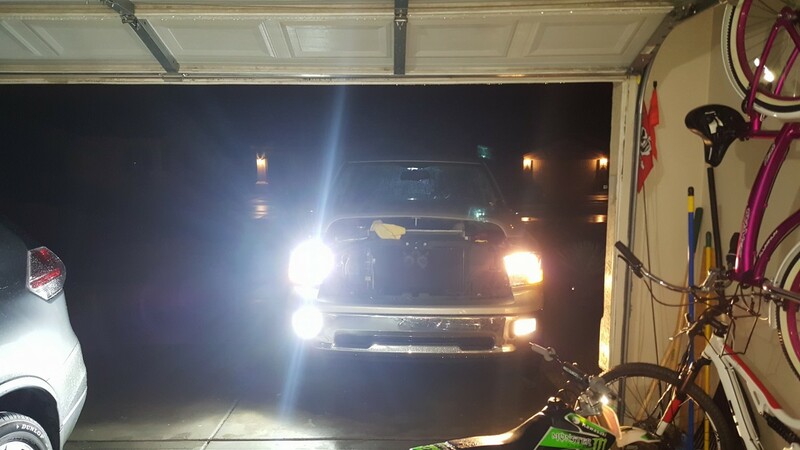 In all I upgraded my hi/low beams and fog lights for under $100. I couldn't believe how simple they were to install and how much brighter they are than the stock halogen lights. I'd definitely recommend these. This bulb helped me improvise! I recently fitted a 2004 GSXR 750 headlight onto my 1998 GS500E. The GS uses only an H4 for the headlight but the GSXR uses an H4 and an H7. If I was to use stock bulbs for both, it would handicap the GS's charging system so I wanted to use at least one LED bulb. 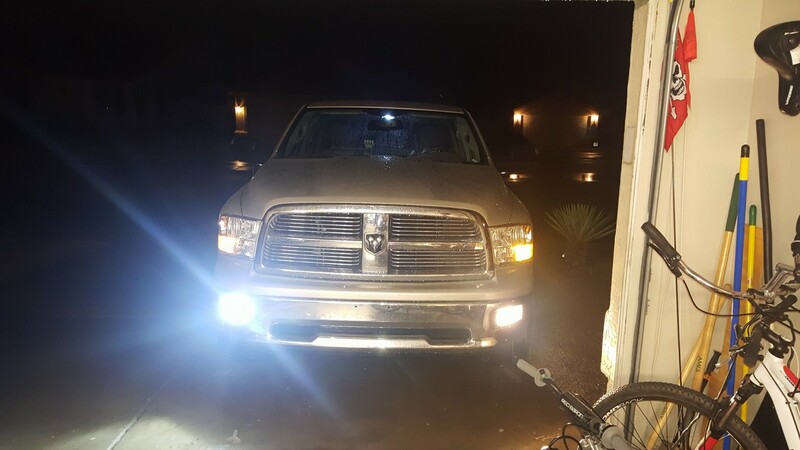 After a lot of experimenting, I have completed the project by using a stock H4 and this H7-W36-DRL bulb from superbrightleds. 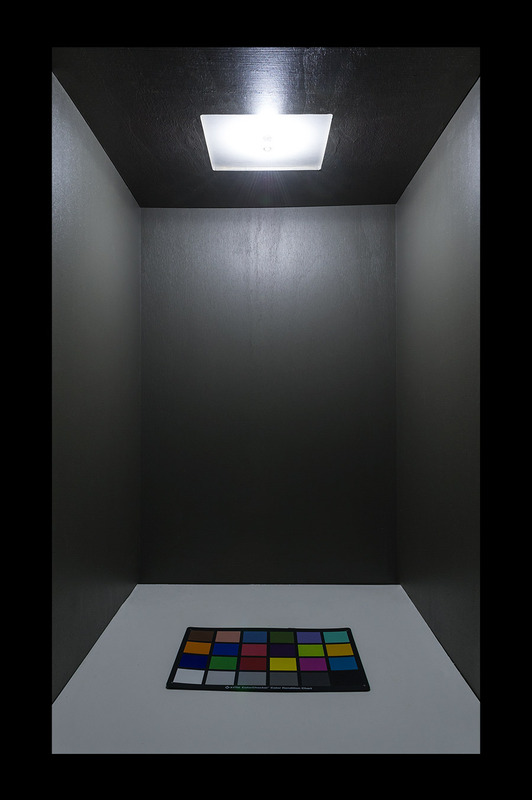 Even though the output is only 260 lumens (and a stock H7 is in the ~1500 lumens range) it adds a significant amount of light and I am happy with the result. It should also be noted that the prongs on this bulb work perfect with the adapter/spacer that this headlight assembly uses. Thank you sbl.com! Never get a ticket, but cant see at night. 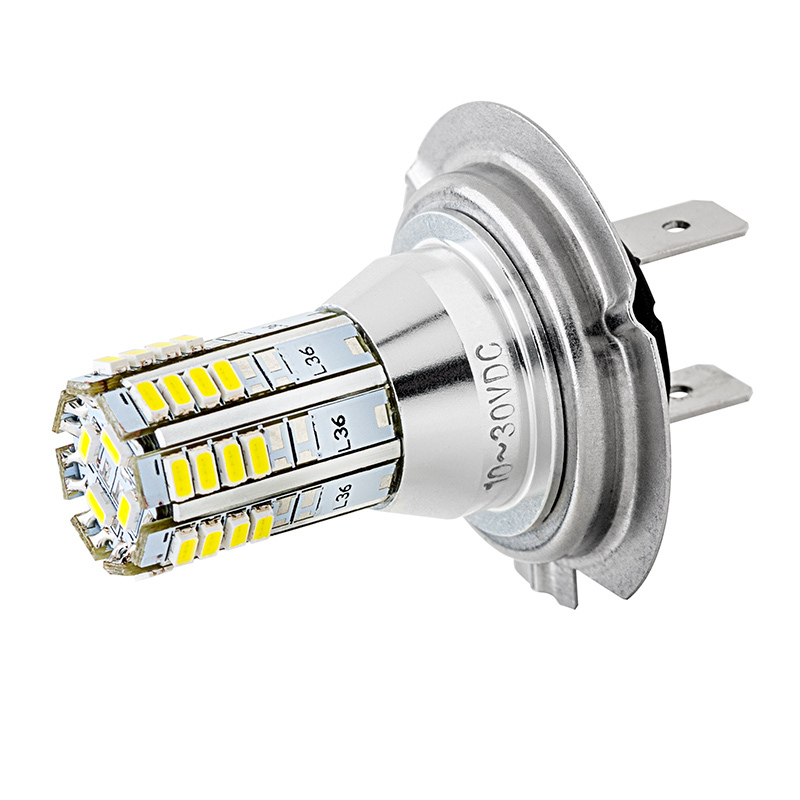 So these little bulbs were Super easy to install, just like a Regular bulb, and I feel good knowing they have a 2 year warranty and if it goes out that is covered. but Driving at night on the Turnpike or Highway was a bit Sketchy, I now Drive with my high-beams on when on roads without street lights at night and have not had a single person flash me. They only light about 15-20 Feet in front of me. 2008 VW Beetle . 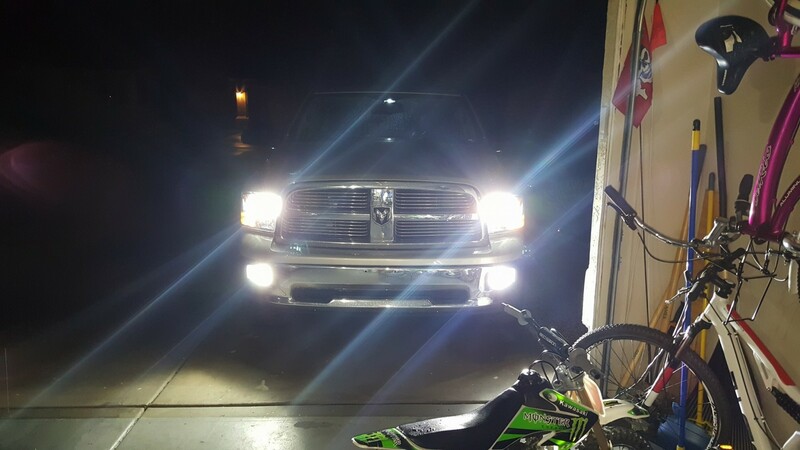 Would be great for Running lights or Fog lights but would not suggest for actual head lights.